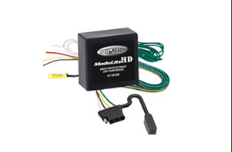 We carry a variety of different wiring and brake controllers from popular brands such as B&W, Curt, Draw-Tite, and Reese. Most trailers operate on a two wire system where the brake lights and turn signals operate on the same wire. 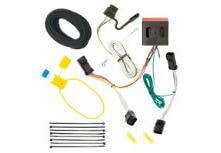 When the towing vehicle has separate wires for brake lights and turn signals, a taillight converter is required.